"My family started going to the Pelham many years ago when our boys were small (now 19 and 21). Our main interest at the time was to find a place with a pool. Funny how that is, as now it's just a nice bonus to the wonderful people who run the motel and the hospitality they extend to us. To us comfort comes in the form of kindness, and you won't find friendlier people on the strip! The Pelham goes above and beyond meeting our needs for a vacation destination. We don't check out without booking our rooms for the next year. The Rage family has become part of our family!" 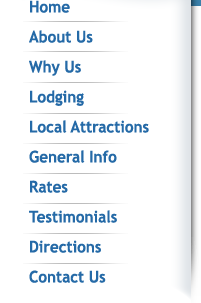 "We have two small children, and we just love Hampton Beach and the Pelham Hotel. We stay in one of the apartments by the pool every year. 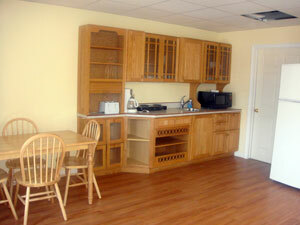 The accommodations are clean and comfy, and the kitchen is very convenient for our family meals. But what we love best about the Pelham is the location. We spend a lot of time at the playground, which is right across the street. We are right next door to our favorite restaurant and it is just a short stroll to the arcade - the kids just love it there. The front porch is fun in the evenings and the kids love the complimentary donuts in the morning. We won't stay anywhere else!" "Nous sommes 2 petites familles, nous avons loué la nouvelle suite au Pelham Court et nous avons adoré l'expérience ! Nous avons logé dans d'autres hôtel auparavant, mais nous ne retournerons plus ailleurs. L'endroit est calme, propre et le personnel est sympathique et accueillant. Le petit coin bbq près de la piscine est très agréable puisque nous pouvons cuisiner les repas pendant que les enfants s'amusent dans la piscine. L'emplacement est idéal, tout y est a proximité ! C'était notre première expérience au Pelham, mais certainement pas la dernière !"